Woolzies dryer balls are pure and of the highest quality. 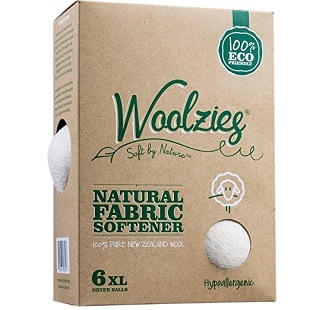 They are handmade New Zealand wool dryer balls without any fillers, that soften your laundry naturally while getting rid of the chemicals from the conventional fabric softeners. Unlike plastic dryer balls, they are PVC free and won’t fall apart or melt. Woolzies save time and energy by cutting down on drying time by an average of 25% per load. They also help reduce static and wrinkles.